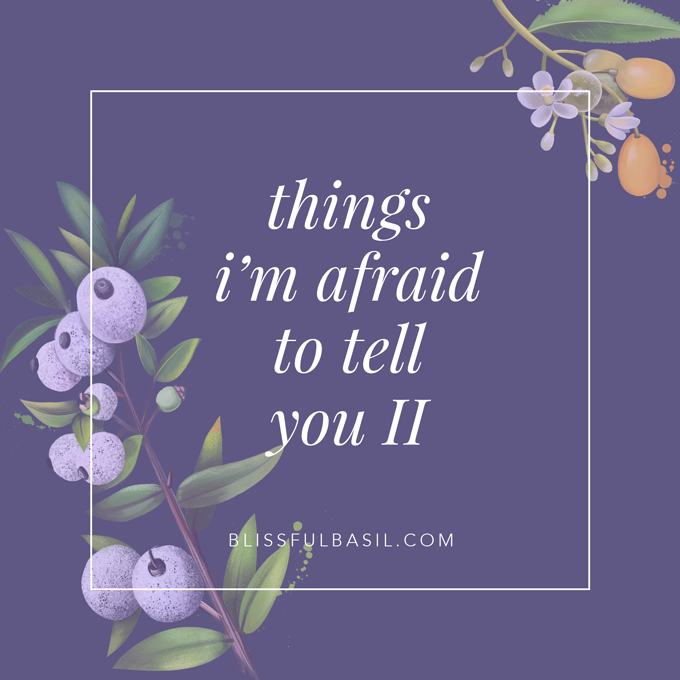 A year ago, I shared a post titled Things I’m Afraid to Tell You in which I shared all the things I’d been scared to openly discuss here on the blog. In this second installment—Things I’m Afraid To Tell You II—I’m exploring a new round of fears in hopes of releasing self-limiting beliefs and moving in to the new year with a lighter, freer heart. I become consumed with nostalgia and self-reflection this time of year. Where am I going? Where have I been? What am I doing? How am I changing? These are the sorts of questions that fill my mind just before the start of each new year. Almost a year ago to the day, I shared this post with you. 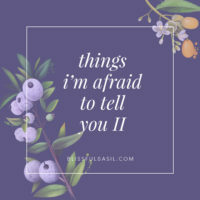 Titled “Things I’m Afraid to Tell You”, it detailed all the things I’d feared openly acknowledging at the time. 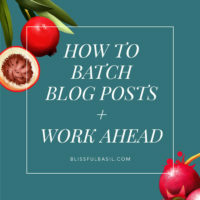 Hitting ‘publish’ on that post was one of the scariest moments in all of my 7+ years of blogging. Never had I felt so vulnerable in this corner of the internet I call home. I wasn’t sure how you’d respond and yet something inside me needed to share that post. To my complete surprise, almost immediately after I clicked ‘publish’, your comments began to trickle in. During a time of year when blog posts are typically greeted by cricket chirps, I was overwhelmed by the number of you who reached out and generously extended your warmth, wisdom, and support. Based on your response to the post and also on the openness and freedom I felt in my heart after writing it, I decided to make it an annual tradition. I’ve never been one for New Year’s resolutions (every day of the year is a great day to invoke transformation and change), but examining the things that scare me? Well, that I can get down with. The simple act of acknowledging the things we’re afraid of tends to release the power they hold over us. I’ll admit, some of the fears on last year’s list are still fears of mine today. But they’re not nearly as scary or intimidating as they once were, and that feels good. Progress not perfection. But first, I want to make the same clarification this year as I made last year: My intention in sharing this isn’t to solicit your empathy or understanding but to solicit my own. To look fear square in the eyes, give it a high-five and a fist-bump, and to release it right here in front of you. 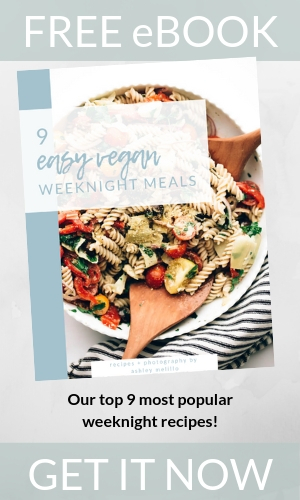 »»» I go through periods where I obsessively (once or twice or even three times a day) check Amazon to see if any new reviews for my cookbook have come in. When I see that the book has received a new review, my stomach drops and my heart starts pounding. If the review is positive, I feel a sense of relief and appreciation. If the review is negative or critical, it can send me into a tail spin of emotions and self-doubt (because I’ve given it the power to do so). It’s a terrifying experience to have something that you’ve poured your whole heart into publicly reviewed, especially online where the sense of distance, of anonymity, allows us to forget that there are real beating hearts on the receiving end of our words. It’s been a year since my cookbook was released and yes, it’s gotten so much easier to deal with online reviews. But there are days when it still stings. Days when seeing a negative review makes me want to curl up and never share anything with the world ever again. Because it would be easier that way. »»» I have just a month left to decide whether or not I’d like to return to my position as a full-time psychologist next school year, and I have no idea what I’m going to do. I love working for myself, but the uncertainty and unpredictability scares me. With so many endless options to potentially pursue and directions to consider, there are days when I feel utterly overwhelmed. The truth is, in many ways it’s easier to work for someone else. My career as a psychologist is predictable, and it was my dream job when I landed it. But the work turned out to be so very different than I’d hoped it would be, and it doesn’t fulfill me like the work I do here does. But Dan’s also an entrepreneur, and we have a little one to think about now. I feel torn between the desire to follow my heart down an uncertain path and the responsibility of supporting our family. It would be easier to return to my position and live out the remainder of my career as a psychologist, but just the thought of it makes my heart feel heavy. And yet the thought of dealing with the uncertainty of continuing to work for myself and to grow this space in new and different ways scares me. »»» I still struggle with Imposter Syndrome (honestly, don’t we all from time-to-time?) and often question whether or not I’m really, truly adding value to the lives of others through the work I do. »»» My biggest fear is disappointing people. »»» In recent months, I haven’t been able to workout as much or as vigorously as I normally do (due to being so far along in pregnancy and suffering a fourth-degree tear during birth) nor have I made time for meditation, and for about two weeks postpartum, anxiety yanked me back into its darkness. Big time. 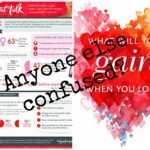 After years of keeping it at bay and well-managed, the combination of not being able to implement my usual self-care strategies and the crazy shift in hormones during those first postpartum weeks gave my old foe Anxiety way too much power. It’d been so long since I’d experienced it, I’d almost forgotten how painful and terrifying anxiety can be. To work my way back out, I dusted off my trusty Happy Light (i.e., a full-spectrum therapy light) and have been using it regularly, I’ve upped my zinc intake, I’ve carved out daily time for self-care, and I’ve leaned on loved ones for support (Dan and my mom, especially). I’m feeling much, much better than I was just a couple weeks back, but I’m still on guard. I’m taking it day-by-day, being honest with myself and those around me when I’m struggling (instead of masking it like I once did), and doing my best to realign myself with intuition rather than letting my “what if” lizard brain run wild. Also, I’ve been reminding myself that mental wellness is always a journey and never a destination and that detours are to be expected along the wellness path. »»» I often look at people I admire and think, “I wish I could do that.” Throughout the last year, I’ve realized more than ever just how powerful and detrimental self-limiting beliefs can be. And yet I’m not always sure how to release them. They’re stubborn little thoughts that cripple hopes, dreams, and aspirations, and I want nothing more than to let go of them and move forward. »»» I tend to think that most people have their lives more figured out than I do. »»» I’m not sure if it’s simply one of the perils of a growing website or if people are becoming pickier, but I’ve experienced an uptick in rude and hurtful comments on my blog this last year. I let most things roll off my shoulders, but there are times when a comment catches me off-guard, and I find myself ruminating on it for hours, sometimes even days. Sometimes I even find myself feeling angry and resentful with these people I don’t know. Throughout my life, I’ve been accused of being “too nice,” so maybe my expectations for the average level of kindness (even online) are simply too high, but I can’t shake the feeling that we, as a whole, are becoming more judgmental of others and less compassionate. It’s upsetting, and I hope we can all align ourselves more closely with appreciation and kindness in the new year. »»» Earlier this year, I made a total rookie mistake with SEO (i.e., unknowingly changed the structure of my URL to include a ‘www’) that caused my search engine traffic to MAJORLY drop. I beat myself up over it for weeks and stressed about how it would affect my blog revenue. Honestly, the whole thing still makes my stomach turn a bit. Google can be so unforgiving, even to websites that have been around for years and years, and it’s unsettling to run a business that’s somewhat dependent on algorithms that are entirely out of your control. »»» I’m still as fascinated as ever by the cosmos, spiritual exploration, energy fields/auras, and intuition. I spend hours each week studying and thinking about these things. »»» I wonder (and worry) about how I’ll be able to keep up with work as a new mom. 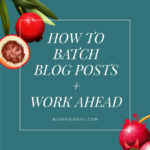 I pre-wrote and scheduled two months worth of blog posts so that I could take a proper maternity leave. However, come February, it’ll be cricket chirps around here unless I’m able to figure out a way to fit in a bit of dedicated work time each week. Right now, my plan is to return to work on a very part-time basis in February and post once a week. Then, in April we’re planning/hoping to hire a part-time nanny or enroll Sloane in part-time daycare and have my mom watch her one day a week so that I can return to work full-time. If it does end up being a bit (or very) quiet around here for a month or two, please know that it’s not my intent to leave you hanging and that I’ll return as soon as I can (promise). »»» Talking directly into the camera on Instagram Stories scares the hell out of me. But most of you seem to enjoy it when I share insights into my everyday routine, so I try to put on a brave face and share as openly as possible when I feel up to it. »»» I continue to take Instagram vacations. I love Instagram but something about it just breeds comparison, and comparison truly is the thief of joy. And yet sometimes during these Insta “vacations” I end up feeling guilty for abandoning you all. »»» I still feel a touch of lingering creative burn-out from writing my cookbook, and I often wonder if it’s normal to feel this way all this time later. I also wonder if I’ll ever be ready to write a second book. And if I do, will it be a cookbook? I’d love to dive deep into the research on mental wellness and write a self-help book unlike any other. I’ve been jotting down ideas and anecdotes for the last two years and would love to shape them into a full fledge book or course. Universe, are you listening? Perhaps now’s the time to take this loosely formed intention of mine and form it into an official one. »»» I would love to do more speaking engagements, but they terrify me. I presented at Chicago Ideas Week in October and teetered between fear and excitement for the six months leading up to the event. Of course, once all was said and done, I felt inspired, empowered, and ready to tackle another speaking gig, but since there’s been months of space between then and now, I’m scared again. I wish I could consistently be brave and leap toward the things that scare me. I think that’s it. Fears released and heart open. Because we have learned how to rise. Over hiding, over hustling, over pretending. When we deny our stories, they define us. When we run from struggle, we are never free. So we turn toward truth and look it in the eye. We will not be characters in our stories. Not villains, not victims, not even heroes. We are the authors of our lives. We write our own daring endings. Showing up is our power. Story is our way home. We are the brave and brokenhearted. What do you need and what do you need to leave behind? Dear Special K, What Will You Gain When You Stop Contradicting? Beautiful piece. Follow your heart. Listen to your intuition. Thank you for opening up and sharing. Thanks for your support and encouragement, Katie! Hope you’re having a beautiful start to the new year! Your blogged touched my younger self that still lives within these older bones. Criticism hurts, but more so in how it’s delivered! I agree that our world has become more critical of others and less compassionate. Yet I believe what’s even more evident is our criticism of ourselves is skyrocketing. We live so much in our heads. Even reading our texts or comments on posts, etc. we are sitting alone looking at words that start swirling around in our mind, sometimes creating a tornado of utter self-destruction. Unfortunately we can’t control others and that’s what I try to continually tell myself. Most of the time that brings me back to being more calm in my thoughts! But you being a psychologist know all these things, however, I’ll go back to what ai told my sister, “(I majored in psychology too) I feel the same way, and thus we are not alone and that should make us feel better! That’s my two cents worth and may I add just one more thing: follow your dream, don’t settle! You are so blessed with a beauty inside you that shines through to someone who doesn’t even know you, me! Have a wonderful 2018 and the new adventures that await! Kim, thank you so very much for this. I’m sorry it’s taken me many, many days to reply to your comment (hard to find two free hands to type with a tiny little one to care for at the moment), but your words have stuck with me these past two weeks. The story about you and your sister touched my heart. Isn’t it funny how we assume everyone else is free from their own criticisms when really we’re all battling our self-doubts (be them minor or major) on a daily basis. You’re so right about our criticisms of ourselves skyrocketing. And YES, we live SO much in our heads these days—far too much. That’s something I’m going to remind myself of going forward because working from home seems to put me even more in my head, and it takes conscious effort to nudge myself back out to a more balanced, well-rounded perspective. If being a psychologist was not what you thought it would be, it was not fulfilling, and thinking about going back to that job makes your heart heavy, I believe you have already made your decision. Yes, it’s predictable and safe, but if your heart isn’t in it, you will be short-changing the people you are supposed to help as well as yourself and your family. Wayne Dyer said, “Don’t die with your music still inside you.” If you don’t honor your truth and honor who you are and how you want to manifest in the world, you could find that the consequences of not listening to your intuition will be far more serious than having occasional bouts with anxiety. Just a little advice from a 71-year old woman who didn’t listen to her inner voice and is having to live with the consequences of that decision. You’re so very right. A heavy heart really is a decision made, and that Wayne Dyer quote puts it perfectly. His wisdom has always been a favorite of mine, so it carries extra weight in my mind. Thank you for sharing your insights and wisdom, Diane—it means a lot to me. Such an inspirational post, Ashley! Wishing you a magical 2018 as you experience this new chapter of motherhood, personal growth, and evolving your blog! Thank you, Ashley! Wishing you a magical 2018 as well! I believe I just experienced a ‘serendipitous, perspective-changing moment’ after reading this post. It’s been a long week in the health care field and I was at my wits end, feeling frustrated and anxious about how things have turned out over the holiday. This post was exactly what I (and a few of my co-workers) needed to read. From the bottom of my heart, thank you for sharing your fears, hopes, recipes, and ideas. I’ve been following your work and trying your recipes for over a year now and can not wait to see what content you’ll share in the future. Your thoughtfulness is inspiring. Wishing you and your family a wonderful new year!! Oh Rebecca, thank you for sharing this with me. It touched my heart. There’s nothing better than experiencing those special acts of serendipity, and I’m honored to have been a part of yours. I hope things are feeling a bit more sorted and settled now and that 2018 brings you lots of peace, contentment, and joy. Thanks again for taking the time to comment—means so much. It takes a lot of courage to be so raw and honest thank you. I’m a massive fan of Brene Brown too and I’m sure you have listened to her audio book “The Power of Vulnerability”? What you have achieved is something many of us dream about and you should be so proud of yourself that you have followed your heart despite everything. I love your cookbook, it is one of my favourites in my massive collection. Thank you for bringing your creativity to us. 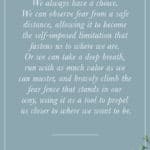 I can entirely relate to your fears and calling them by their name have the uncanny ability of transforming them into something magical. The inner critic is often the harshest critic and I guess we all struggle with the same voices that try to talk us out of following our true calling. I myself tried to leave my day job unsuccessfully to follow my dream path. I have three children and they are definitely a driving factor but I know that they will only be able to follow their dreams to the extent that I give myself permission to do the same. You have already achieved so much and are offering so much. You don’t need to be told anything but please just continue to do what you do. You have already demonstrated so beatifully what it means to lead an authentic life. Thank you! Thanks for taking to the time to comment and share your thoughts and support, Laine! It means so much and is so very encouraging. I will absolutely keep writing and sharing about self-care, spirituality, etc.—wonderful to know you’ll keep reading, too. Wishing you lots of contentment, peace, and joy in 2018! Thank you for this, Sarah! Means so much to have your support. Thanks, mom! You’re always full of wisdom and thoughtful words. And you are certainly an inspiration when it comes to looking fear square in the eyes and challenging it. Love you. Thank you so much for sharing yourself with us. I remember well when I found and chose my life’s purpose after desperation and frustration in a “safe” job (paycheck). My heart was calling to me to do healing work, and I have done that now for 33 years, the longest stint I’ve had. Now I am way past retirement age, and I shall continue to do it because it fills so much for me and my clients (I am a massage therapist). I get a payment and a hug at the end of every hour of work. It has allowed me to blossom in so many ways, following my heart. May you listen fully to yours. Money is necessary, yes, but soul fulfillment and giving our gifts is the reason we are alive. You have been given many gifts to share, and I fully believe the path shall be clear for you. Blessings and peace to your heart and to your family. Wendy, this is so very inspiring. Thank you for sharing it with me. Your authenticity and joy for the work you do radiate from your words. And you’re right, soul fulfillment and giving our gifts is the reason we’re here. Thank you for the reminder. <3 Blessings and peace to your heart and family, too. I can’t wait to see how your blog evolves this year. 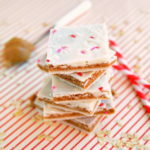 You are one of my favorite bloggers, because of not only your recipes, but I can tell you are genuine and personable. I think that’s why I enjoy IG Stories so much is because I get to see more behind-the-scenes and personal videos from bloggers. I totally understand that it scares the crap out of you, but you should do more! I really like watching them and hearing updates about your life. I would LOVE to read a non-cookbook book or take a course from you. I’m typically pretty wary of “self-help” books because they are often gimmicky, restrictive (“if you only did things the way I recommend your life would be instantly better”), and self-promoting, but after reading your blog for the past few years I know your advice would be open-hearted, full of patience for change to occur, and relatable. I hope the universe is listening too. This warms my heart, Erin! Thank you for sharing your inspiration and encouragement. Also, I hear you on the typical “self-help” books—so often they come from an authoritarian or even patronizing position of “I’m here to help/rescue/save you”. If there’s one thing I’ve learned from counseling others, it’s that we can’t “help” or “fix” anyone but ourselves. The best we can do is listen compassionately to others and offer perspective and wisdom so that they’re better able help and guide themselves along their own wellness path. It’s tempting to want to be people’s savior but it’s an unrealistic (and perhaps even selfish) approach! 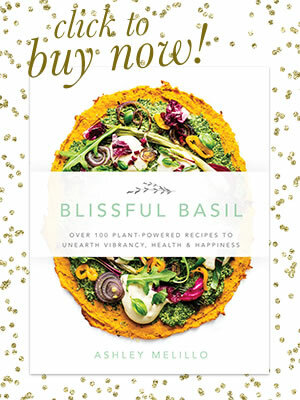 I would love to read a non-cookbook book as your style is such a refreshing change — a book full of authentic respectful thought! Releasing your fears to live in universe helps us all know/believe we are not alone and dig deep to courageously be ourselves without fear. :) I agree with you….this technology consuming society an be very rude for no reason. I try to ask myself before sending: did you read this? do you really mean this?